Everything old is new again in Horsted’s book. 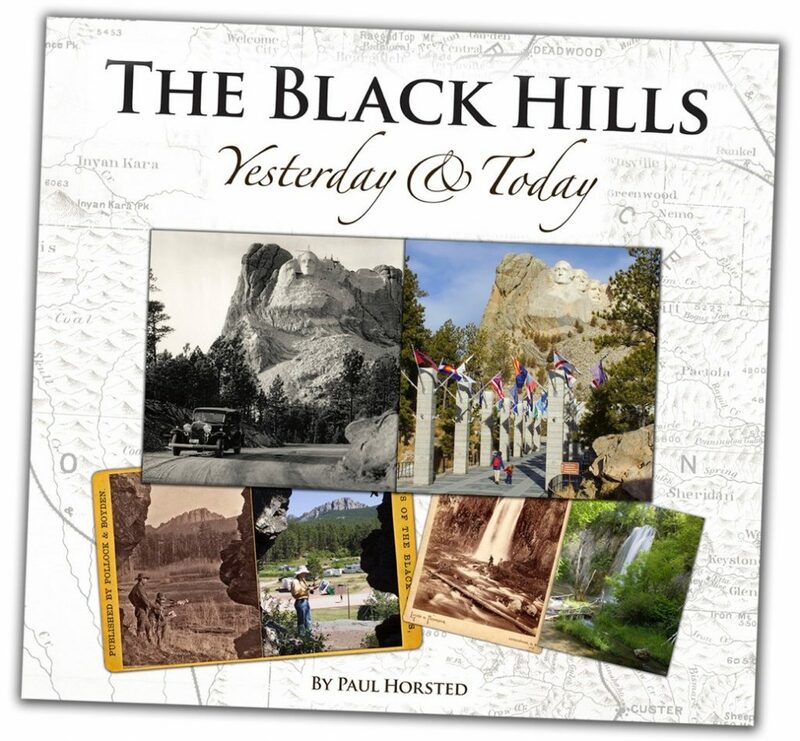 Over the course of four years Mr. Horsted searched through photographs from 50 collections around the Black Hills region, choosing pictures taken between 1874 and 1935, of scenes and events in the Black Hills area. 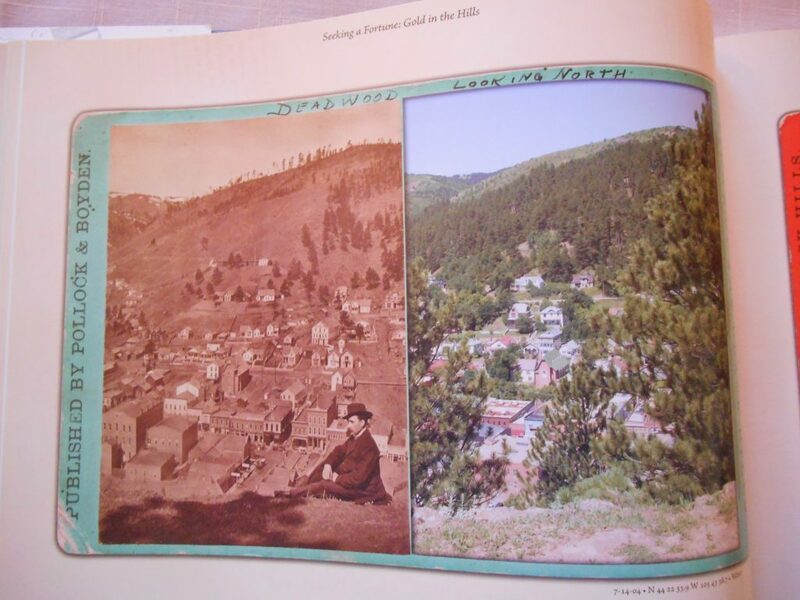 He then traveled to those locations to photograph the exact same site in the present time. Comparing locations side by side, it is fascinating to see all that has changed, and amazingly how much has not changed. Perhaps one of the most striking changes is Pactola, which originally was a mining camp with a hotel and stage stop. 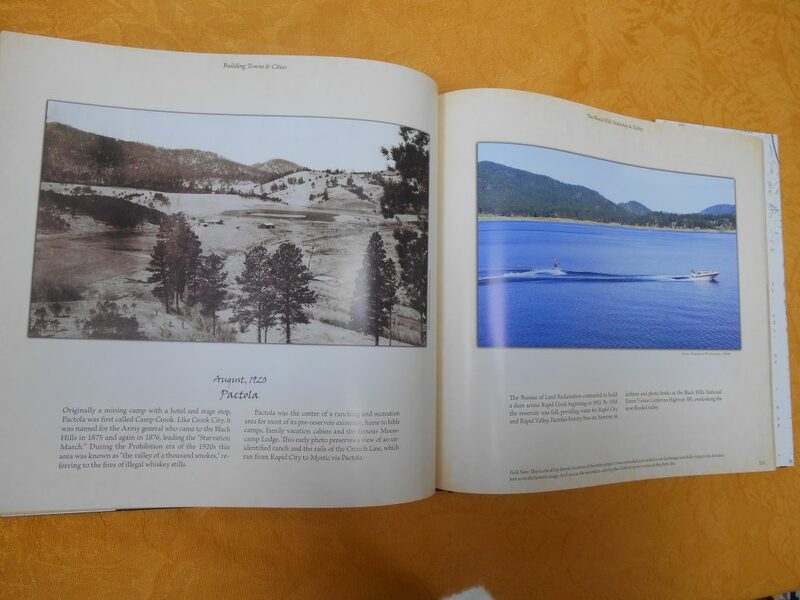 After the Bureau of Land Management built a dam across Rapid Creek in 1953, the valley was flooded and by 1958 Pactola Reservoir was full. It now provides water for Rapid City as well as recreational options. 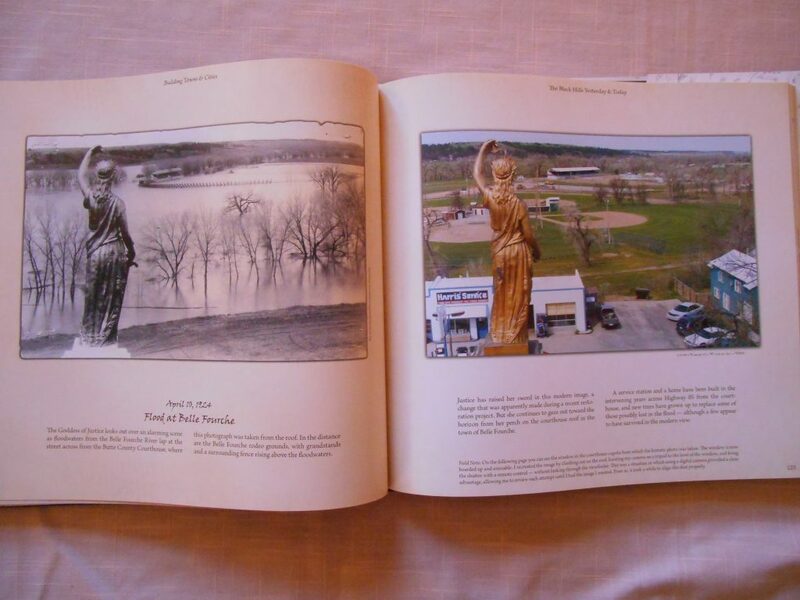 The pleasing design of the book showcases the images in full color, full page spreads. Bends, bumps and pinholes in the old photographs are preserved in the book’s images, accentuating the authenticity of the work. Horsted has done an admirable job of not only preserving the past, but also of preserving the present in photos, for the benefit of future residents. Thanks to Mr. Horsted for providing the cover photo. Now available in the Museum gift shop.